We’re all quite aware of the warning signs. The sink starts taking longer than usual to drain. There’s a water pond around your feet while taking a shower. And not to forget – the not-so-pleasant odor that fills up your house. These are all common signs that your drains are at the verge of getting clogged. And then suddenly one day, your bathroom drain gets completely choked. However, without delaying things further, you must make preparations to deal with this menace – or face the rage of rupturing pipes or ineffective bathrooms. Despite that it’s a simple procedure, it is even more effective. Get hold of a regular wire coat hanger and try to straighten it as much as you can. Then, bend one side in such a manner that it creates a small hook. Push the hook through the drain cover and begin fishing. 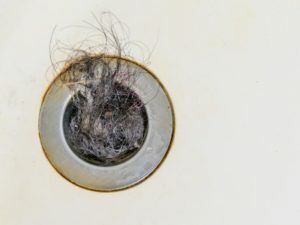 This way, you will be able to get rid of all kinds of hair and dirty stuff that was blocking the drain. Throughout the procedure, bear in mind that you have to take out the dirt not push it further. 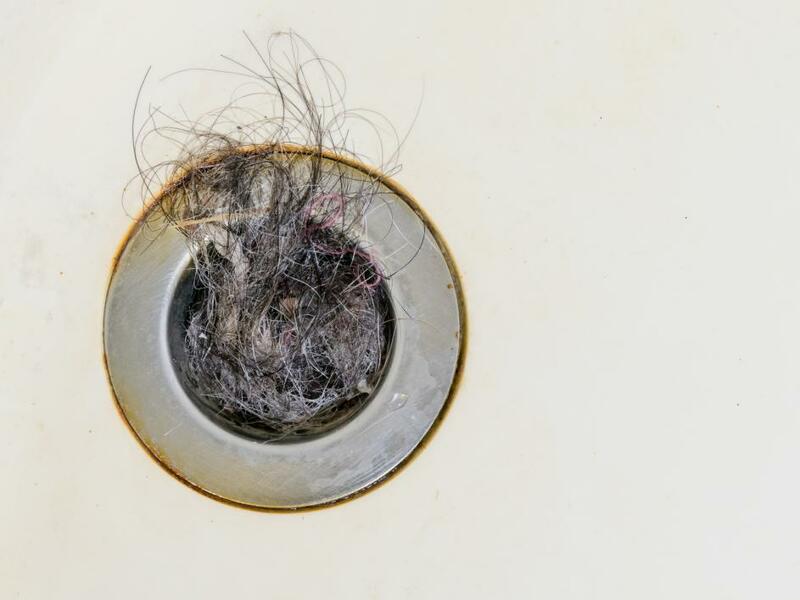 Once you think you have taken out sufficient gunk, run hot water through the drain to give a final clear. In case you have a wet & dry vacuum cleaner, know that it’s an amazing tool for unclogging drains. At first, set the unit to vacuum liquids. Make sure you properly cover the vent to avoid creating a mess. Then, seal the drain as tightly as possible. You may want to show some creativity and make use of a plunger head. Set the vacuum on the highest speed in order to draw out the clogged pipe, into the vacuum bag. This method is not always successful, but it’s certainly worth a try. Boiling water is one of the most commonly utilized techniques for clearing drains. Put water in a kettle and place it on stove. Boil the water as much as it can hold. Once boiled, slowly pour down the water through the drain in about 2 or 3 stages. Moreover, make sure you allow it a few seconds (between each stage) to work its magic. This method helps clear uncomplicated and premature drains to a great extent. If you are left with some water in the kettle, enjoy your success with a cup of tea. While these techniques will help households to a great extent when clogs aren’t stubborn, you will certainly need the assistance of professional plumbers to help you deal with prolonged, tough and intractable drains. Contact one of our experts at 561-403-1500 who service a wide range of areas including Boca Raton, Kings Point, Boynton Beach, Deerfield Beach, FL and more with exceptional residential plumbing Ocean Ridge FL.